‘Quakers’ started as a nickname. Their full name is the Religious Society of Friends. Members are known as either Quakers or Friends. Quakerism started in England in the 1650’s when George Fox gathered groups of ‘seekers’ together. Quakers were trying to lead a renewal, to try and live more simply and truthfully, following Jesus’ example more closely. Many Quakers centre their faith on Jesus while some Quakers find inspiration from other spiritual experiences and faiths. Friends see ‘that of God in everyone’. They base their search for truth on the experience that there is a real and direct relationship between each person and God. Quakers try to live by their testimonies to simplicity, truth, equality and peace. The meeting for worship starts when the first person sits down. Meetings last one hour and are based on silence. In the silence, Friends turn towards the Light and worship God together. Occasionally, someone will stand and say something briefly. After that the meeting will continue. A gathered meeting for worship can be transforming. Following their belief in a direct relationship with God Quakers have no formal priests to lead worship and do not feel the need for special feast days or sacraments. The meeting ends when two elders shake hands. The clerk will usually welcome everyone and give out any notices. Most meetings have a cup of tea afterwards. How do I go about attending a meeting for worship? Just arrive at a Meeting House a few minutes before the start of meeting (10:30 am on Sundays). 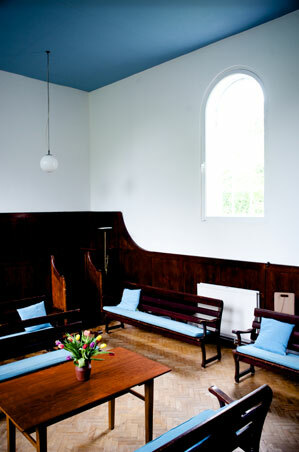 Enter the Meeting House when you are ready and you can sit anywhere. You could contact our resident friend or clerk beforehand if you’d like to. We’d be very pleased to welcome you. What about Quakers and children? Children usually spend 10 minutes in meeting for worship with the adults before going out to have their own programme or activities. Many of our older young people enjoy the residential gatherings run nationally every year. Several members of the meeting have volunteered to run children’s activities and all have had a CRB check in the last three years. Please let us know in advance if you would like to bring your children to meeting so appropriate provision can be made.